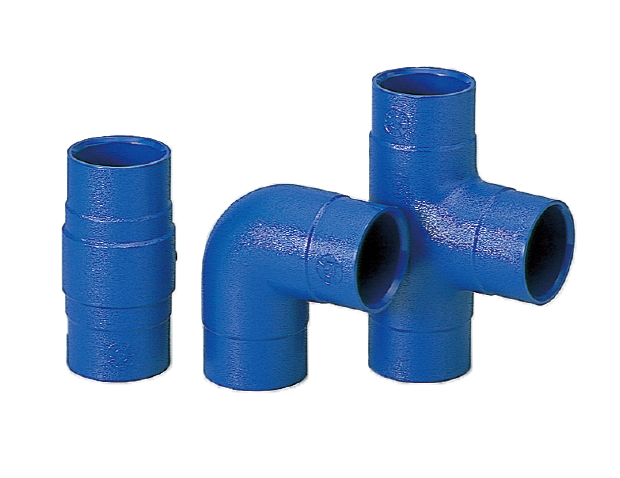 Screwed type malleable cast iron pipe fittings (JIS B 2301) with its inner/outer surfaces simultaneously formed together with PVC resin, built-in core, and anti-corrosion pipe ends. Elastomer is loaded at the end of the core to fully eliminate corrosive factors from inner/outer surfaces, assuring safety in use. * Those marked with ▲ are subject to prior sales.